Who Gets Left Out of Ontario’s Public Participation Act? Last month’s Free Expression Matters profiled Ontario’s new Public Participation Act, well known for protections against Strategic Lawsuits Against Public Participation (SLAPPs). In the next few days, we were contacted by two groups who are not protected by this legislation – either because their proceedings started before the act was passed on October 28, 2015, or because they face censure from powerful actors outside of civil courts. While PEN Canada applauds Ontario’s move to protect public participation on matters of public interest, these cases highlight gaps in existing legislation, and why legislation protecting public participation is needed in the rest of the country. PEN Canada staff spoke to Phil Demers and Temara Brown about their ongoing struggles for their right to free expression. Phil Demers and Marineland of Canada Inc.
On Feb. 12, 2013, Marineland of Canada launched a $1.5 million suit against its former employee Phil Demers. 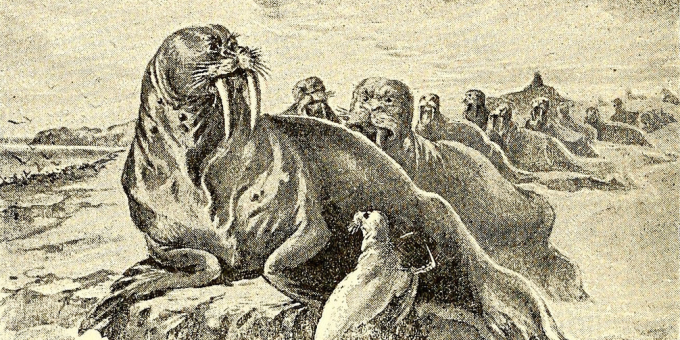 The suit claimed that Demers trespassed on park property and plotted to steal Smooshi, an 800 lb pacific walrus with whom Demers had a close bond. Demers feels the claims are in retaliation for his allegations of animal abuse –profiled in a Toronto Star series on theme park– and deter him from further exercising his right to free speech. Speaking to the Star, Demers said: “The notion that I’m ‘plotting’ to steal Smooshi is absurd. I also doubt my second floor apartment would hold a walrus. My hands are full enough with my cats.” At the time of this writing, Demers has spent over $100,000 on legal counsel without spending a single day in court. PEN Canada: What was your initial reaction when you heard Ontario was developing anti-SLAPP legislation? Phil Demers: Anti-SLAPP legislation is imperative in today’s society to protect those individuals/organizations that are facing unjust abuse by corporations seeking to stifle public debate and abuse those who stand up to them. I was ecstatic when the bill, in it’s original concept was introduced. As a consequence to the bill not being retroactive, Marineland is free to continue it’s abuse of both the legal system and the whistleblowers who revealed issues at the family park. PEN Canada: This legislation does not apply retroactively. How do you think it would have impacted your case? Phil Demers: Had this bill been retroactive, which it was in it’s original drafting (bill 52), our lawsuits would be subject to review by a judge to determine it’s legitimacy. Once determined as a SLAPP, Marineland would be subject to punitive damages as well as on the hook for all our legal fees (which so far total well over $100k). Our dreams would have come true, because our nightmare would be over. PEN Canada: What are the consequences of this lack of protection for you? Phil Demers: As a consequence to the bill not being retroactive, Marineland is free to continue it’s abuse of both the legal system and the whistleblowers who revealed issues at the family park. After three years, not a single one of Marineland’s lawsuits have gone to court, or even to the discovery phase which normally happens very early in legitimate lawsuits. Our lawyers have warned us that Marineland will continue this abuse for many years to come. It’s hard to imagine an end to this abuse, and this bill should have been it. It’s hard to imagine an end to this abuse, and this bill should have been it. PEN Canada: What would you tell others who may be hesitant to stand up against powerful actors? Phil Demers: My advice to anyone who is considering taking on powerful actors is to ensure that your heart of hearts is into your cause, because you will be challenged beyond anything you can prepare for. Days become years, and years lifetimes, but if your resolve remains firm, then there’s no price for a good night’s sleep. Oh – and good luck. Phil Demers is @WalrusWhisperer on Twitter. Temara Brown and Preston Sand & Gravel Co. Ltd.
Like many, I didn’t have a clue what “SLAPP” stood for until we were potentially facing one. Temara Brown: Like many, I didn’t have a clue what “SLAPP” stood for until we were potentially facing one. Then it became a big deal! At this point, anti-SLAPP legislation had been on the table for some time. We watched, disturbed as partisan political games were prioritized over protecting public participation. The previous iteration of the bill died on the floor with the call of the 2014 general election. When it was reintroduced on December 1, 2014, it was significantly weakened. I have yet to discover any justified explanation behind these changes. A party who has gained more power chose to weaken the bill and abandon people to the cold. This appears less in the interest of creating good public policy than those financial interests of corporate political donors. Temara Brown: The Concerned Residents Association of North Dumfries (CRAND) is facing a large cost motion under the Ontario Municipal Board, a quasi-judicial tribunal that often deals with land-use planning disputes. CRAND argued that the OMB was setting it up for a large adverse cost award, and that this was a SLAPP. Unfortunately, the current version of anti-SLAPP legislation does nothing to address situations like this. Even if it were to apply, we would not have access to these new remedies. Temara Brown: CRAND spoke out against a development that would risk public health. Now we are rewarded for our efforts with one of the largest cost awards in the history of the Ontario Municipal Board. We fear more communities will continue to face similar trials unless this case is investigated. CRAND is hindered in its ability to carry forward on its mission unless this OMB cost motion is recognized as a SLAPP. This means that the perpetrators of these injustices and falsehoods are being rewarded for silencing CRAND. The development has been under construction and our fears for public health are being realized. We may not be able to afford to protect the health of our families and community. It is terrifying. We may not be able to afford to protect the health of our families and community. It is terrifying. Temara Brown: Ask yourself: Why are these people powerful? Why are they committing these upsetting acts? How did we get to this situation where we need to stand up? I’ve found that the answer to the third has often been because no one stood up to do anything before. It might not be pretty and it probably won’t be easy. But true people power isn’t motivated by what’s easy. It comes from the knowledge you’re doing what’s right. In CRAND’s case, I expected the worst from these “powerful actors” and have been amazed at how they’ve continually managed to find ways to stoop even lower. That’s exactly why I knew what we were doing was not only right, but essential. No matter how hard the day, I know I could not accept that our submitting to silence might result in future suffering. Network and work together. Learn from others in similar situations. Share your stories and swap strategies. Help one another whenever you can. Had CRAND stayed silent, we would not have met so many amazing people who have worked with us along the way. Watching communities come together has been the real highlight of this. Temara Brown is @TemaraBrown on Twitter.